This book was assigned reading for my AP English class, and at first I was very hesitant to read it. A three hundred page interview about old myths I’m not familiar with? It sounded quite dreadful to me, frankly. I should know by now to keep an open mind going into books like this, but what can I say? As per usual, this book exceeded my initial expectations by a mile. It had flaws, to be sure, but for the most part it was very enjoyable. I had such a positive reaction to this book while I was reading mostly because the content was absolutely fascinating. It’s evident from the very beginning that Joseph Campbell is beyond brilliant- his knowledge of various texts, myths, religions, etc. is unbelievable. Yet he speaks in a way that is easy for the average reader to understand, which is something I really appreciate. Explanations aren’t any good if every other word has to be looked up in a dictionary! I also greatly appreciated Campbell’s honesty. He was not afraid to speak his mind, even if that meant disagreeing with Bill Moyers (the man interviewing him) at times. Some of his ideas were a little out there, but he shared them in vivid detail all the same. There was no air of hesitancy or of holding back in this interview, and I cannot tell you how refreshing that felt. In a society where so many topics aren’t discussed openly it was enthralling to read someone’s personal religious thoughts. If reading about religion makes you take a step back, hear this: I am not an overly religious person, and at no time in the book did I feel as though Campbell was preaching his views or attempting to convert me to his train of thought. He certainly made some valid persuasive arguments, but the point of them was to discuss and explain rather than to convince the reader to think otherwise. That’s how I felt, at least. His tone was professional, intellectual, conversational, diplomatic- not hostile or pretentious. He keeps a balance between religion and mythology, and therefore this book can be read from either or both perspectives. I honestly don’t think it matters whether you’re atheist, deeply religious, or have no real opinion on spiritual matters- anyone can enjoy this book simply from an educational stance. Overall, this book was a really great read. Some parts dragged and were a bit repetitive and dull, but for the most part I thought it was interesting and incredibly thought-provoking. The interview format made it very easy to read, and the pages often flew by surprisingly quickly. 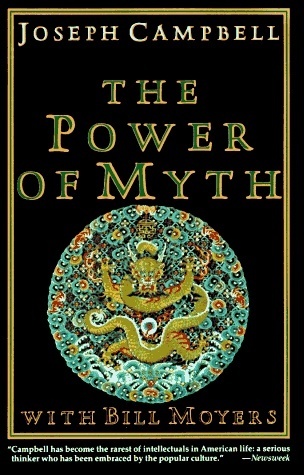 This book is very effective in making the reader understand the importance of myths in modern-day society, and will no doubt help me immensely as I analyze texts later on. Would I recommend it to a friend? : Perhaps. I think it depends on the person. If you do not think religion or myth is the least bit interesting, then obviously this might not be the book for you. But who knows? It might surprise you! Have you ever read this book? What’s your opinion on reading about religion? Let me know in the comments section below!